It’s the children’s bedtime chart that’s opened a parenting Pandora’s box. Put your kid to bed at a specific time, and according to the table you can work out the time they will rise, depending on their age. Interestingly, your child’s bedtime could be more important than you think, with Australian researchers just discovering that it may actually influence their health. A school in Wisconsin, in the US, posted the following table, along with the words ‘Helpful information’. It prompted thousands of responses from parents who claim the projected bed and wake times are unrealistic. 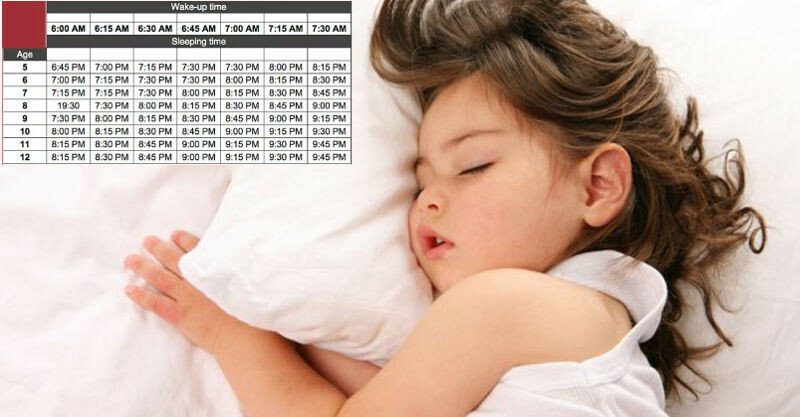 Going by the chart, a five-year-old child who goes to sleep at 7pm, will wake at 6.15am. Experts are warning parents to take the chart’s advice with a grain of salt. “At best, this is an interesting chart to look at, but in reality, it may not work for your particular kid or family,” assistant professor of neurology at Northwestern University’s Feinberg School of Medicine Kelly Glazer Baron told The Huffington Post. Coincidently, Australia’s Murdoch Childrens Research Institute is challenging the long-held guidelines that indicate the best amount of sleep for children. 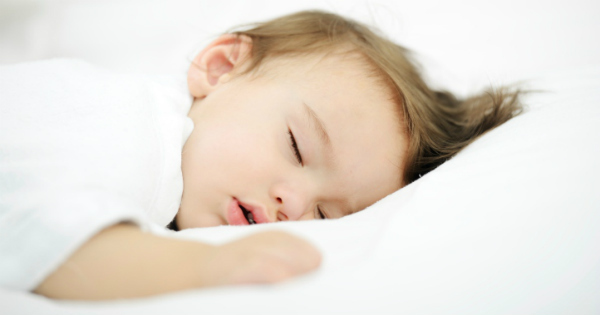 Researchers have recently found short sleep duration isn’t linked to poor health in children. Things such as when children go to bed and wake up may actually be to blame. They studied more than 4,000 four to nine-year-old children, and researchers say what they discovered may mean current sleep guidelines for children are ‘misguided’. “Existing literature supports the notion that shorter sleep is associated with poorer child and parent health and wellbeing, however we found, at most, modest associations between decreasing sleep duration and some poorer child and parent measures at some ages and no associations at other points,” says lead researcher, Dr Anna Price. Dr Price says it appears sleep duration in itself isn’t a big factor in the good or poor health of children, but it is known that children with sleep problems do have poorer health. Researchers believe things like when children go to bed and wake up, how often they wake during the night, and how long it takes for them to fall asleep may play more of a role in poor health.